Live From New York: Statue Of Liberty Webcams Are On : The Two-Way On this 125th anniversary of the Statue of Liberty's dedication, live cameras have been turned on. The views include a live stream from the lady's torch. -- The crown and the ground below. -- A streaming of the harbor from the torch. 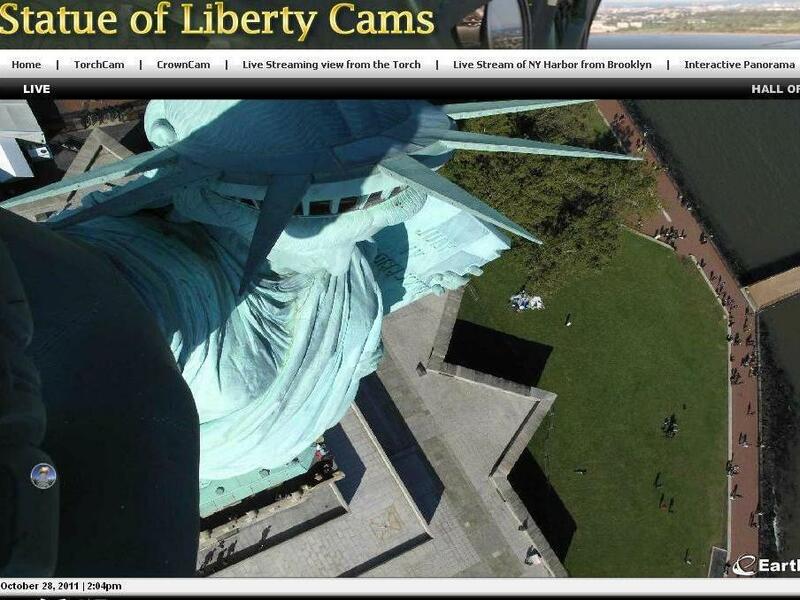 -- And a streaming view of the statue from Brooklyn.